Dr. Quinn discusses the Succession crisis in detail. We’ll talk about several of the possibilities during the succession crisis. We’re continuing our discussion of the Succession Crisis. Strang was known to translate the Voree Plates. 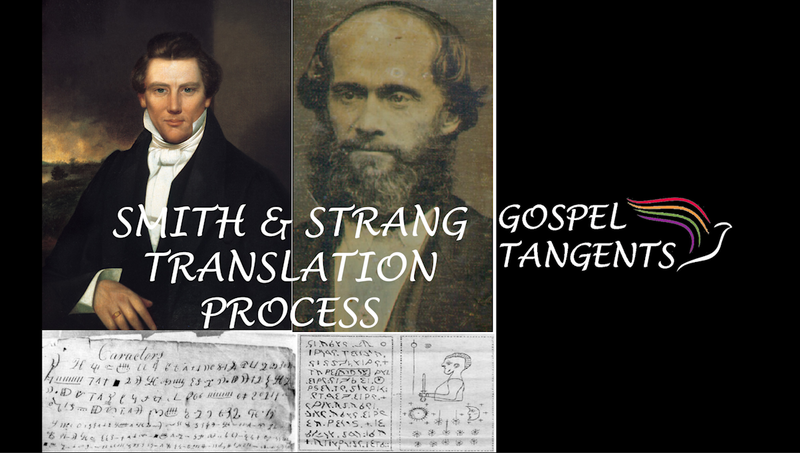 How does that compare to Book of Mormon translation process Joseph Smith did? Michael Quinn tells his beliefs about the translation process of the Book of Mormon. What are your thoughts concerning the Succession Crisis? Never thought of this before, but could there have been more than 1 legitimate way to go? Like, for instance, could the 12 have backed Joseph Smith III? Etc. Brigham Young clearly expected JS III to lead the church, but he wanted him to come to Utah. Both JS3 and Emma balked at the idea, and Emma did not like Brigham Young. As mentioned in the interview, Emma backed William Marks, the Stake President in Nauvoo, to lead the church. I found Quinn’s admission of a combination of translation and 19th century additions to the Book of Mormon to be quite an interesting idea, as well as the ur-text. How many people think the BoM is a combination of manmade and literal transation? The seven succession claims are “legitimate” because each method of calling/authority had a precedent in the Church. To some, Sidney Rigdon still held the highest authority as a member of the 1st Presidency. Did Brigham Young make any statements regarding Joseph 3rd being a successor? Remember he was only 13 10 June 1844. The first RLDS missionaries to Utah after he accepted leadership were not warmly welcomed. Brigham Young asked both Joseph III and David to join them in Utah, but both declined. It was fairly well-known among Latter-day Saints that Joseph had promised his son JS3 would be the leader of the church one day, but JS3 was just 11 years old at the time of his father’s death. People in both LDS and RLDS churches were aware of this. If JS3 had come to Utah, it would have been interesting to see if Brigham had stepped aside (but I doubt it.) Clearly the RLDS Church believed in lineal succession, and when JS3 felt called in the late 1850s, they organized the RLDS church on April 6, 1860. Clearly RLDS missionaries were not warmly received in Utah, although I believe Brigham let them speak in the Tabernacle. The problem was, they kept denouncing polygamy, which didn’t go over well with the Salt Lake Mormons. Emma was pretty upset over polygamy, and I am sure helped her sons believe the same. Of course, anti-polygamy feelings were the main difference between LDS and RLDS churches for about 100 years. Love this. Very interesting. I didn’t realize the fraud case against Strang, although he certainly seemed like a dark horse, not a serious contender (even though he had a substantial following). Generally, I tend to agree with Jon Hamer that Rigdon had the strongest claim according to existing procedure / policy, but he didn’t have the backing of the Saints in Nauvoo. I’m glad it wasn’t JS3 which I agree was probably Joseph’s intent. Setting up a dynastic succession makes the church so small, and it’s untenable in the long term, but JS’s vision for himself and his posterity seems most consistent with that. You’re right, Angela . The RLDS doctrine of lineal succession hit a crisis in the 1990’s with Wallace B. Smith having no sons. Many speculated that, with female priesthood, it could be a daughter or (shiver) he could be the last Prophet. Neither theory panned out. “The Memoirs of Joseph Smith III” contain an account of his visits to Utah after becoming RLDS President. Joseph Smith Jr. is largely to blame for the succession crisis. He left no name or designation procedure that was documented and clear. Rick – fascinating stuff. I’ll be sure to listen.